R they called pattypans in grocery shops or any other name used to it..
congrats on winning the book..You deserve it,dear!! baked patty pans looks yum..first time seeing this veggie..
Patty pans are new to me too,they look so exotic and yum. wow they r so awesome n its shd taste divine because they r home grown.. n congrats on ur win!! oh my god you grown these? those are real beauties. looks wonderful and congrats on the win. Congrats on your win dear…Pattypans are very new to me…eyeing them for the first time…they look so beautiful…wonder if these are available in India? Seriously those stuffed pattypans tempts me a lot..Congrats on ur win Priya,u truly deserve it.. This dish looks so tasty and so pretty like floral cups….I have always seen these in the store but never knew how to make them. What a novel way to cook pattypans!! Congrats on the win! 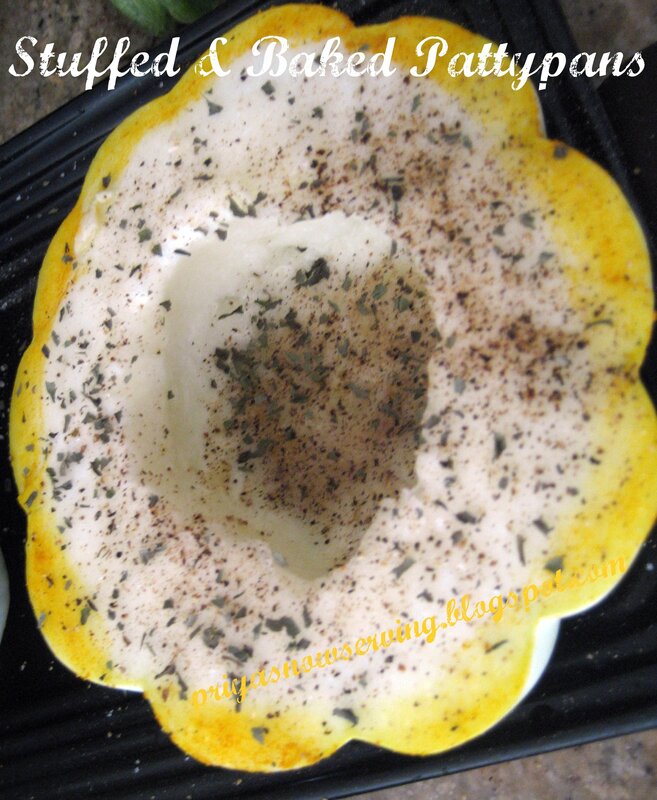 And, this is such a creative way to cook pattypans! Pattypans are very new to me !! looking them first time here !! They look very beautiful !! and u made perfect recipe using them !! Sounds healthy and delicious! I love vegetables but never cooked those beauties before! wow, that is inventive, amazing and I am at loss of words here. I have had baked squash in a restaurant and I had thoroughly enjoyed it. So, I can almost taste this, love your presentation. How lovely they looks,so so pretty…Nice recipe using it! vowww!! looking so tempting never tried before…. Never tried & tasted it before…looks so tempting!! Congrats! 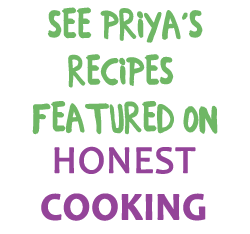 Love your pretty recipe! Have a great weekend dear! By the way, your purple cauliflower pulav is also tempting!! Congrats priya and they luks so cute and delish recipe. Congrats Priya! You deserve the book! Will wait to see the recipes you cook from the book. These pattypans are new to me they look so cute! Enjoy the homegrowns dear. They look delicious. Congrats on the book! The pattypans are so cute looking. I should definitely try this. I'm always looking for new things to try. Thanks! These look delicious! I've never tried them, but I definitely will now. And congrats on the book! Aww..they look so cute..love the finished look as well!! Thanks for sharing this delicious recipe! I love these squashes, but never seemed to know how to prepare them in an original way! It looks like i found the perfect recipe! Those oven baked stuffed pattypans look so good! They look very cute, but never heard about it before. Never cooked with this veggie..looks delicious..
Wow Priya, what a great collection you have. Glad to have found you! these pattypans are ADORABLE!! what a wonderful idea to stuff and bake them :D.